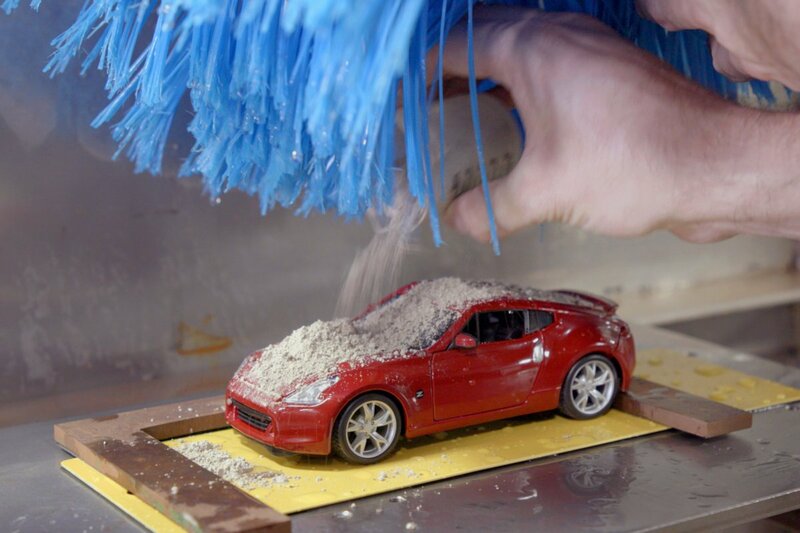 A miniature car wash, about the size and shape of a popcorn machine, plays an important role at the Nissan Technical Center North America in Michigan. Equipped with a spinning brush that has vibrant blue bristles, this highly specialized machine allows engineers to test paint samples to make sure Nissan’s exterior paints hold up to the tough environment of automatic car washes. Long before a Nissan ends up on dealer lots, engineers have made sure that every shade of exterior paint will stay looking great, even if a customer frequently takes his Altima or her 370Z through the rigors of an automatic car wash.